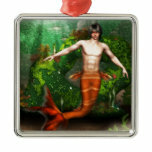 Merman sitting on the ocean floor. 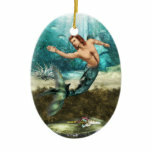 Merman swimming under the ocean. Merman swimming underwater in the ocean's depth.